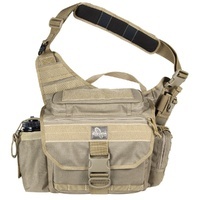 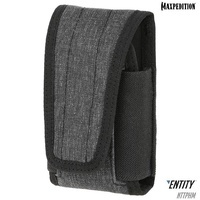 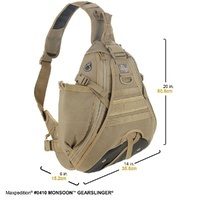 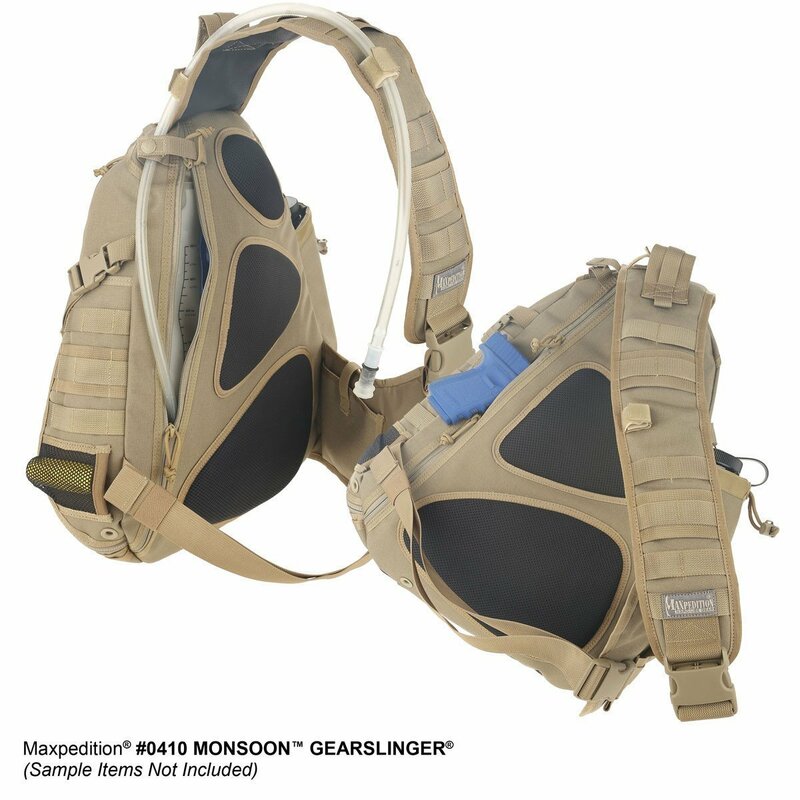 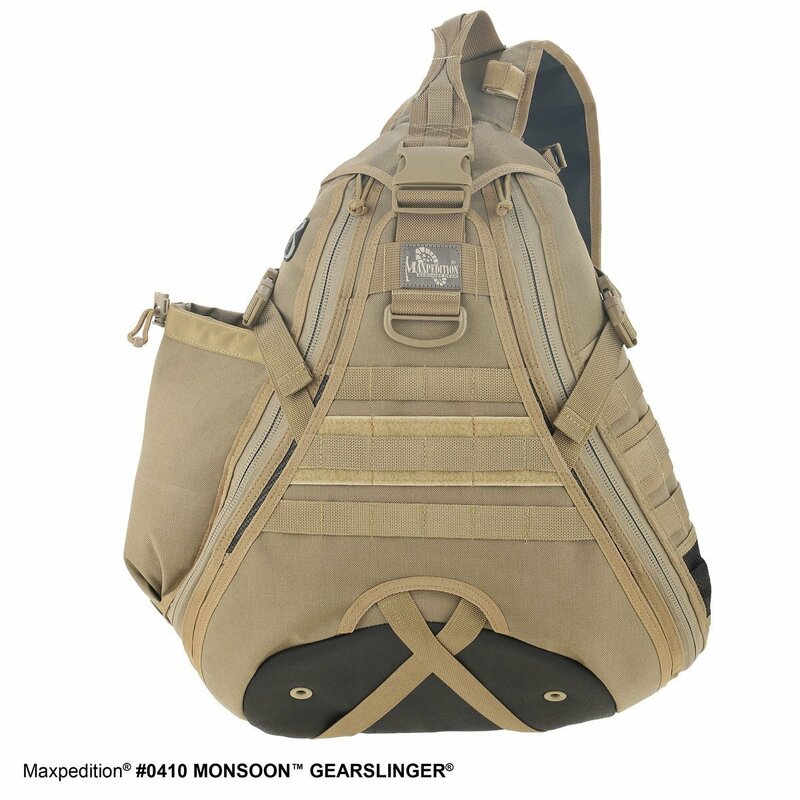 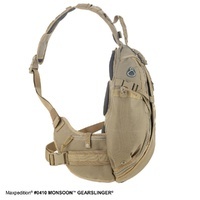 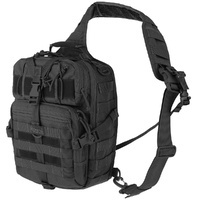 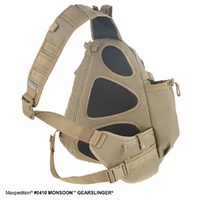 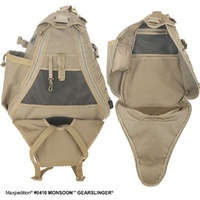 Rugged enough for the field and also designed for urban & suburban applications, the original Monsoon Gearslinger carries on your right shoulder and sits on your left hip. 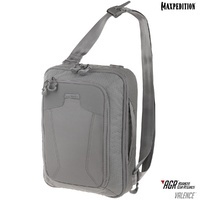 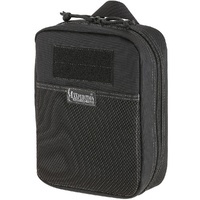 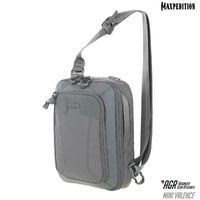 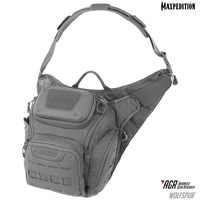 It features a durable teardrop-shaped design that includes a spacious main compartment, back-to-back pockets, fixed shoulder strap & concealable waist strap, internal MP3 player pouch & rubberized headphone port and a water resistant protective over-flap. 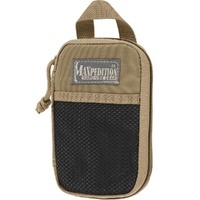 Dual hydration pockets accommodate a 100oz/3L hydration reservoir and 32oz/1L water bottle to help keep you hydrated on long trips (sold separately). 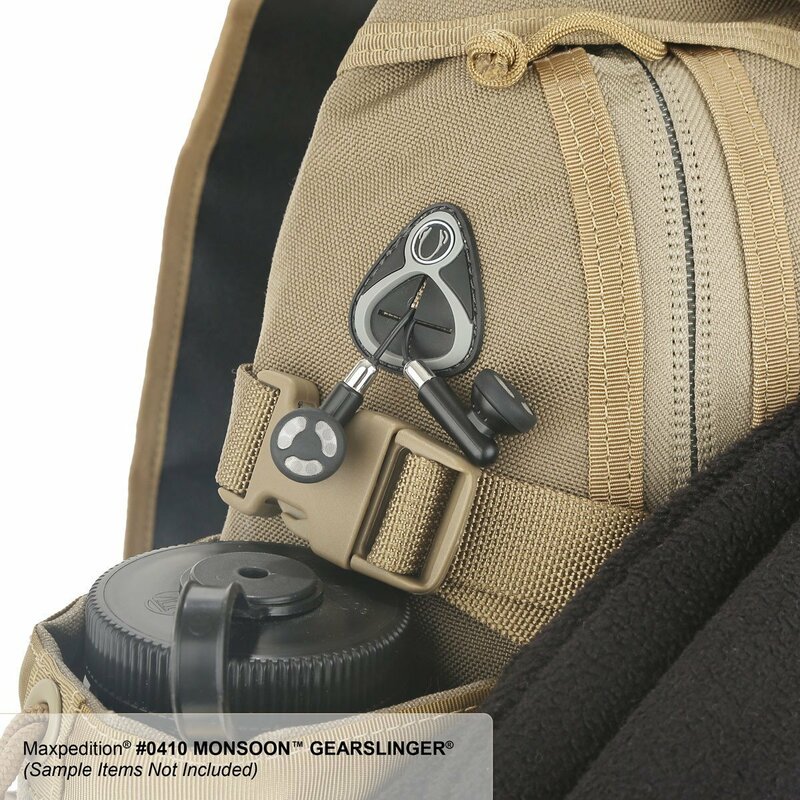 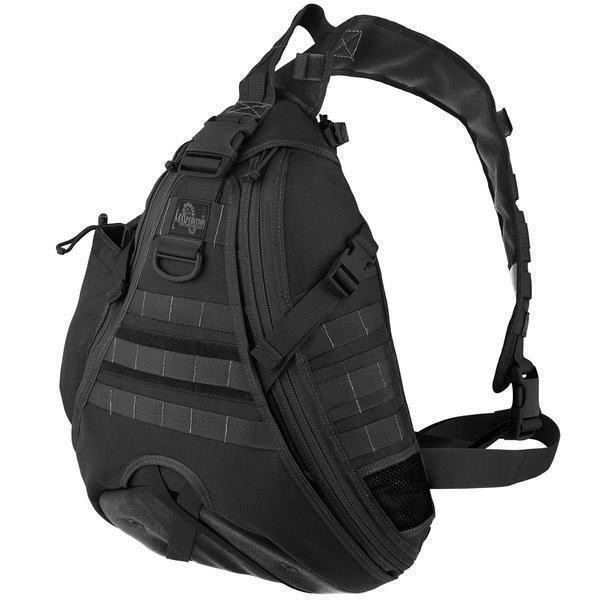 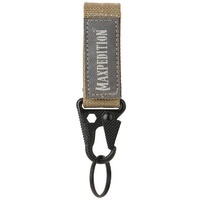 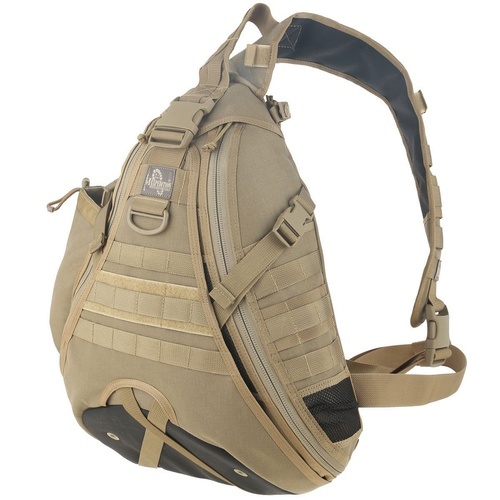 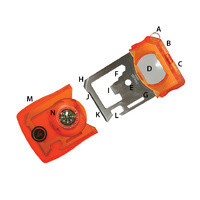 The ergonomic fixed-strap Gearslinger rotates 270 degrees to the front of the body, giving you complete top-down access to horizontal pockets. 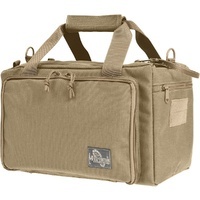 You can easily get to your gear while sitting, standing or moving throughout your day.